Email as we know it is more than 25 years old. We spent the first part of the last 10 years launching startups that claimed to kill email and discussing why email should be killed using a more productive tool. It was followed by a relatively shorter period when everyone, even product marketeers, accepted that email would stick around for a while longer and posted articles about the reasons behind it. I assure you this is not another ‘why email is immortal’ post. It is clear that people kept using it despite spamming (You won the Green Card and Viagra ads). I would like to focus more on why enterprise communication tools that look down on email and other default communication channels like conventional phone calls and SMS, share a story similar to the famous Hans Brinker Hotel. Before we move on to the story of the Hans Brinker Hotel, let me just summarise my perspective on the changes in digital communication habits. Synchronous digital communication is now way more accessible compared to the era when we only had MIRC, one of the most popular Internet Relay Chat IRC clients available for Windows. Since it has become so easy with real-time communication applications, the perception of long distance communications has also changed. Having two-way communication with someone continents away is now fun rather than a hassle. We have a tendency to associate this change with the speed of communication. There is a general understanding that quicker is always better and that synchronous communication will eventually kill asynchronous communication. Numbers do also seem to justify this argument (SMS & Email). However, when I look at these numbers, I see two different eras. The first era is the time when asynchronous communication tools were also serving synchronous communication needs for which they were not built. For instance, do you remember chatting with your friends with a Nokia 3310 via SMS? On the other hand, the second era, the downfall era of email and SMS, started with technological improvements which enabled new tools that better serve synchronous communication. WhatsApp is an outcome of better and cheaper mobile internet coverage together with more powerful smartphones. So, can we say that synchronous communication is replacing asynchronous communication soon? Not really! The fastest is not always the best choice when it comes to enterprise communications. I prefer taking enough time to answer business related questions or to talk to people about business related topics. In other words, I would like to control latency in communications, which is almost impossible with real-time communication applications. The name says it all. In our current digital world and with these real-time communication tools, people expect you to respond immediately as you would do in a face-to-face conversation. Most often, this leads to miscommunication and eats into private time. Real-time communication applications somehow force you to be online all the time, regardless of whether it is the weekend or even if you are spending quality time with your children late at night. It is even worse if your presence info is shared. People become more impatient and expect an immediate response if they know that you are there or have read the message. Due to these reasons, I always switch business related conversations to email or SMS even if they were initiated as Whatsapp messages etc. Apart from being synchronous or asynchronous, real-time communication tools are far from being default communication channels. I have a name, a surname, a birth date, an email address and a phone number. So do my colleagues and my mother. As far as internal team communication is concerned, a life without email, SMS, and phone calls is not even thinkable for the enterprise world. You cannot easily convince or force every business contact of yours to use your internal communication tool. Email addresses and phone numbers are still the only default communication channels for every business contact. Facebook and Google tried to build another default communication channel but failed along the way. Until they or someone else succeeds, enterprise communications, especially external communications, will keep heavily relying on email, SMS, and conventional phone calls. From my perspective, the only reason for most popular enterprise communication tools to shut their eyes to these needs is the fact that they cannot provide competitive services around them. It might be easier and cheaper for OTT players to convince their users that they do not actually need to use email, SMS or phone calls. Do not underestimate the power of marketing. 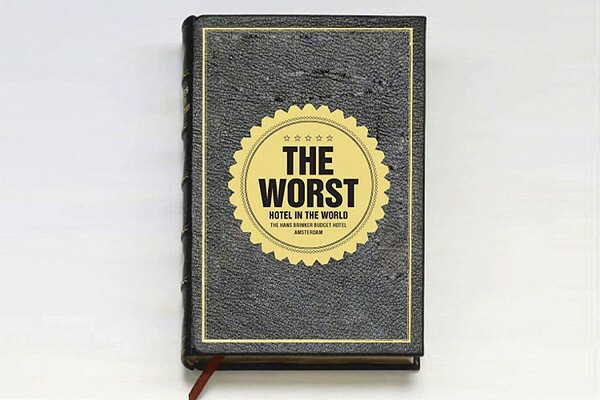 Sometimes marketeers build brilliant stories around their products that even convince you to stay at the worst hotel in the world, which brings us back to the story of the Hans Brinker Hotel. Great marketing helps; however, it does not always guarantee long-term success of a product or service. If I had one dollar and had to bet on either great marketing or a complete product, I would go for the complete product for sure. A complete enterprise communication product is only possible if internal and external synchronous and asynchronous communication needs are covered to some extent. I understand that OTTs see it like moving into an area where they are not competent enough. However, it does not mean that a complete enterprise communication product is hard to bring to life. It only means that OTTs are not the right provider for that, but carriers are. OTTs are doing a great job to improve efficiency of enterprise communications. However, as I described above and here, there are some very good reasons why CSPs can bring competitive enterprise communication products to the market. Briefly, CSPs are the masters of one of the most important default communication channels, phone numbers. They can also use the network they own to integrate native phone calls and SMS with what OTTs offer today to bring a more complete product to the market. Eventually, we all expect completeness from a communication product just as we would expect a proper bed, a hygienic room and nice service from a hotel. It is time for CSPs to get involved in the game and let customers define the demand again. Don’t leave it to marketeers! True! Things change slowly in such markets. Though, it is a great example that having a better product or being able to provide a better product is crucial for the competition.